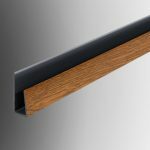 Geoplas hollow soffit boards are 10mm thick and are designed to clad existing and new soffit details. 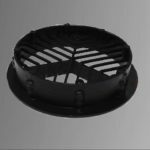 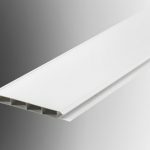 Manufactured from UPVC they offer a low maintenance light weight yet durable capping solution that will last for many years. 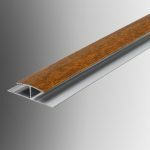 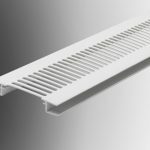 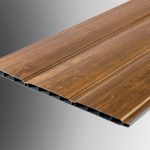 The Geoplas hollow soffit board range includes 100mm and 300mm wide profiles finished in white and renolit woodgrain window matching foiled finishes. 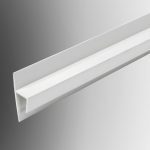 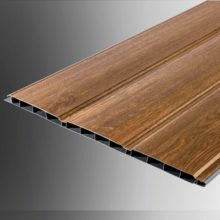 We also offer hollow soffit board profile in plain colours such as cream, beige, black and brown. 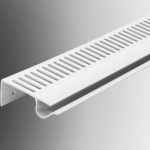 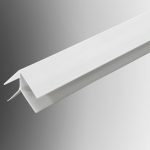 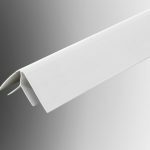 Our range of hollow soffit board accessories includes starter ‘J’ trim, joint trim (both available in colours to compliment Geoplas soffit profiles), various ventilation options, corner trims and a flat roof felt starter trim profile.